This was an image I put together in May of 2000 for my "Image Manipulation" class. We were asked to create a two-page ad for a magazine. 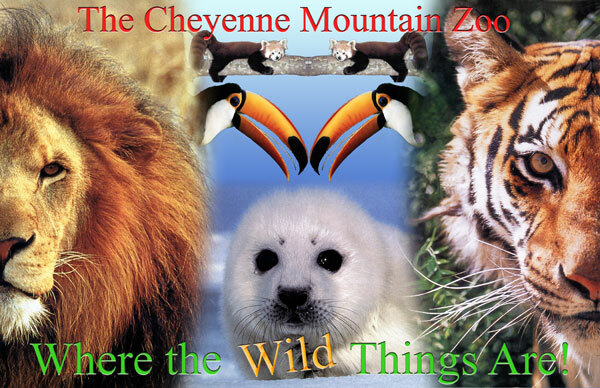 Since I love animals, and therefore wanted to create an ad with animals in it, I decided to create an ad for the Cheyenne Mountain Zoo in Colorado Springs.